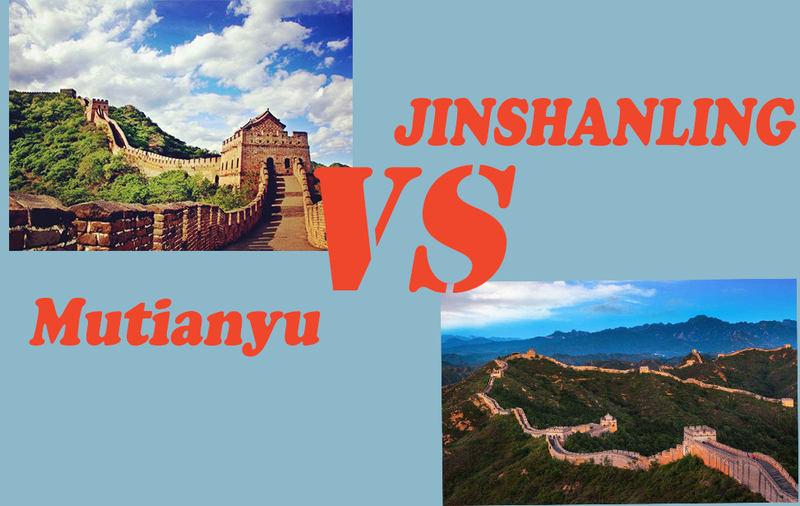 WHY DO YOU CHOOSE TO VISIT MUTIANYU GREAT WALL? 1. The most important reason is fully rebuilt. 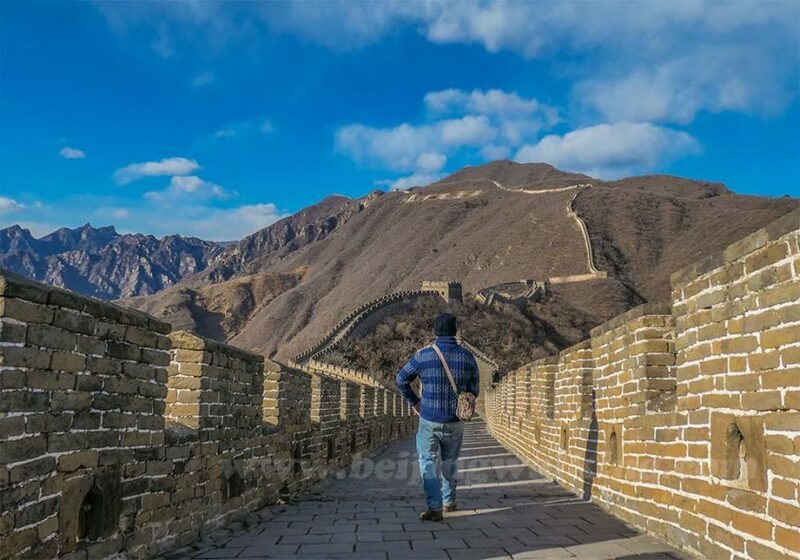 As the Great Wall of China is very long and old, most of the wall is not easy to walk. 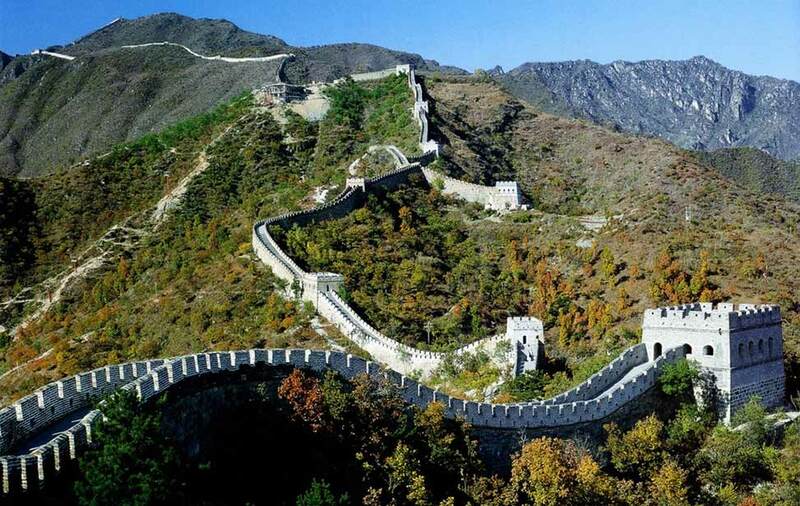 There are many sections of the Wall rebuilt, such as Badaling, Jinshanling, Simatai, and Mutianyu. It is easy for people to travel and the facilities are very good with cable cars, and restaurants nearby or even next to the wall. So no matter how fit you are, you can visit Mutianyu Great Wall. There is not much to say, the kids love to slide down from the Great Wall which they can remember forever. A lot of travel bloggers will tell you that they never take tours, as though its somehow beneath them to travel in such a ‘touristy’ way. Stuff that. Of course, the tours, as well as the tour guide service very often give a more enhanced experience. However, that’s not always the case and if you’re able to go it alone (and save some dollars in the process), why not. In the case of visiting the Mutianyu Great Wall, I’d say take a tour is not a MUST. With my instructions below on how to get to the wall, get the tickets and get around the Wall is all covered. Now, let’s get down to the details of how to visit the Mutianyu Great Wall – there’s quite a lot of information in here but as you’ll come to realize, getting to see Great Wall isn’t quite as simple as turn up, buy the ticket, take the photo. Stick with me. I’ll try to make it as painless as possible. Of course with a good tour guide, always makes your trip more interesting which is not only make sure you are not get lost. 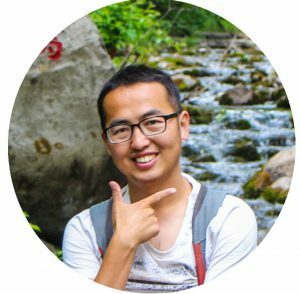 How to get to Mutianyu Great Wall? 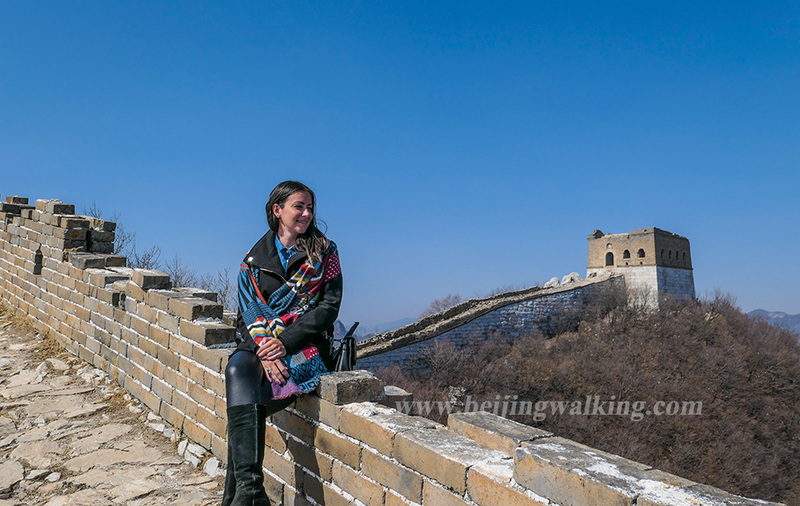 If you do a layover tour from Beijing airport, you should read this: How to get to Mutianyu Great Wall from Beijing Airport? 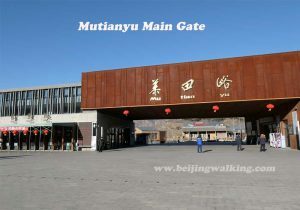 When you get to the Mutianyu Great Wall, no matter by bus or by car, you will get to the MAIN GATE first to buy the tickets. If you decide to take the cable car or toboggan, you can buy the tickets here, or you can buy the tickets from the entrance down the wall. Take the shuttle bus is recommended. From the main gate to the entrance is still 2 km away, the round way shuttle bus is 15RMB which can help you save a lot of time. But it is still not difficult to walk(30 minutes walk with medium speed). 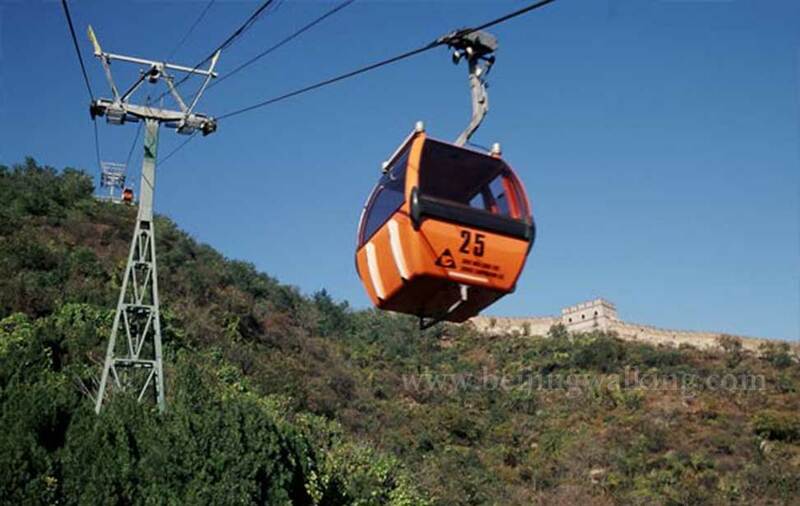 There are 3 ways you can use: Cable car, Chairlift and walk. 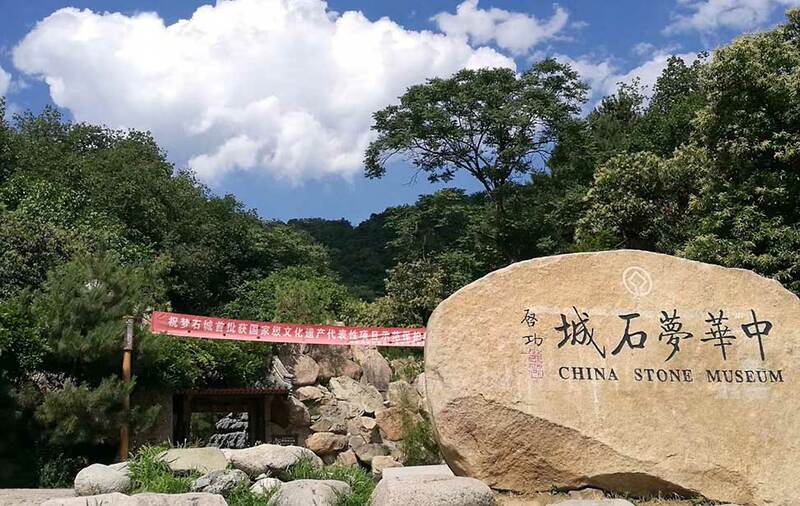 Before you decide which tickets to buy, it is better to know how would you like to hike the Mutianyu. From tower 6 to tower 10 is very flat, easy walk with a beautiful view. It is good for family with kids. From tower 14 to tower 17 is flat, with a beautiful view, as people over 60 years old are not allowed to take the toboggan. So this is for people who don’t interesting in toboggan or senior visitors. This route is a easy hike since from tower 14 to tower 6 is all down hill, so you can save a lot of energy. The view is great. The only thing you should know: You need buy both the cable car ticket and the toboggan ticket. Hike up is tough but not impossible: Allow around one hour to climb the 3000+ steps. There are 3 entrances you can go for the hike. 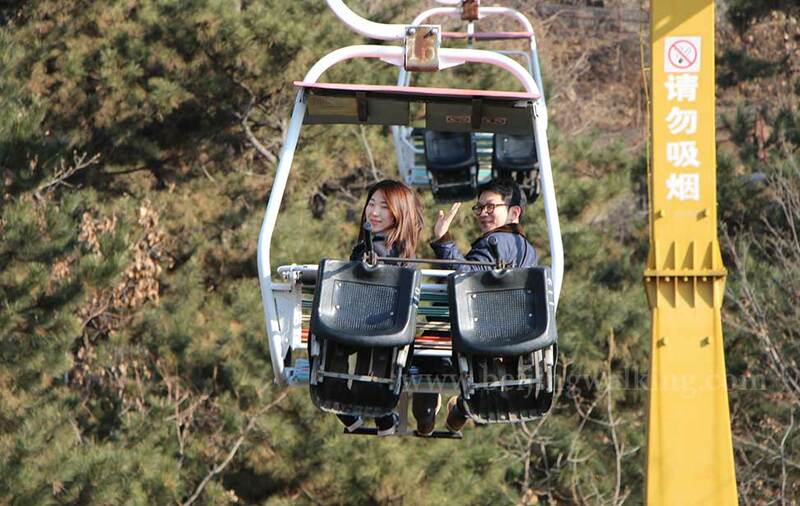 2 of them at the Cable car and toboggan station. 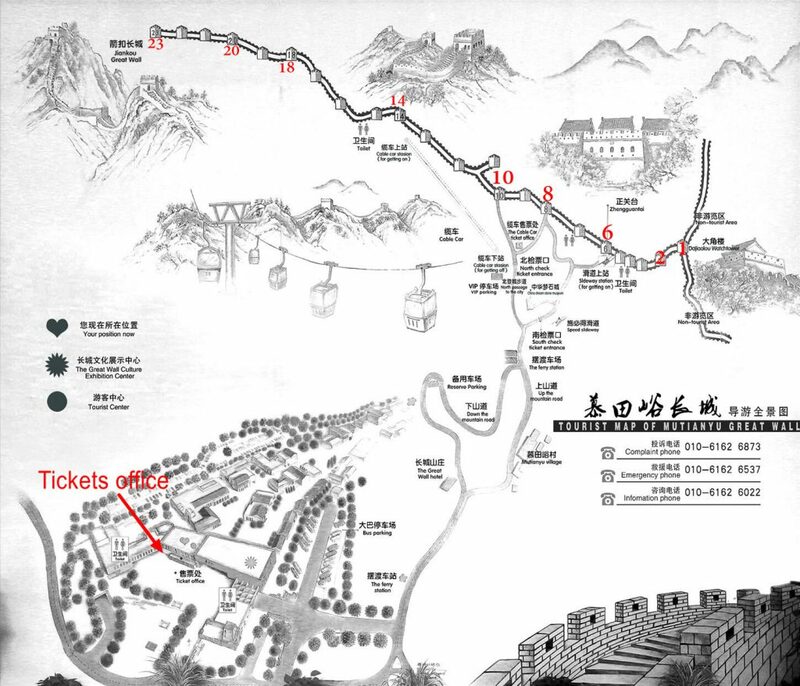 The 3rd one is between the toboggan and cable car which is called China stone museum. Cable car: The cable car takes you to tower 14, you can walk to tower 20 or even more, the view is excellent. You need about 1.5 hours. Toboggan: For those who really want to trek miles more for the experience, single-rider toboggans descend (at a safe speed) from the east end of the wall to the valley. The Chairlift takes you to tower 6; you can choose to walk the challenge part to tower 1. Or take the easy walk to tower 10. The views from both sides are magnificent. Admission Adults: 45 RMB Seniors elder than 60: 25 RMB (valid ID or passport required) Children between 1.2 and 1.4 meters (3.9 and 4.6 feet): 25RMBChildren under 1.2 meters (3.9 feet) are admitted free. Note: Children between 1.2 and 1.4 meters (3.9 and 4.6 feet) can enjoy the student price. More than 1.4 meters should pay adults price. Children under 1.2 meters (3.9 feet) are admitted free. That’s a matter of opinion, but Leo prefers the fall. By then, the summer crowds have eased, and so usually has the heat — that’s especially important if you’re climbing up to the top of Great Wall. What does the weather like at Mutianyu Great Wall? 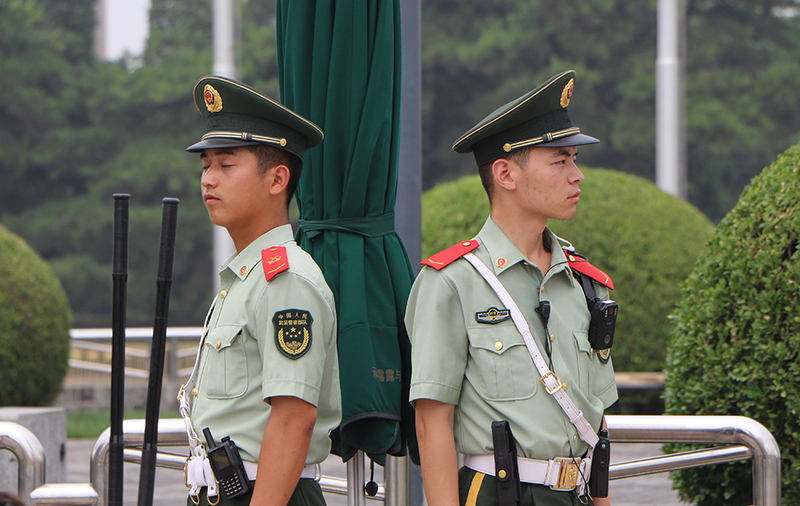 Spring Throughout the spring months, (April to May) temperatures in Beijing rise quickly day to day. They also vary greatly (around 12 C-14 C) between day and night. Summer Summer months in this city (June to August) are long and hot with plenty of rainfall. With the exception of the hilly areas, the monthly average temperature is above 28 C (82 F). Autumn Autumn (September to October) is perhaps the most attractive season in this city when there is plenty of sunshine and cooler temperatures around 20 C (68 F). Winters in this city (November to March) are cold. A trip during these months may be a shock to visitors from tropical countries. The monthly average temperature is below 0 C (32 F) from December to February.